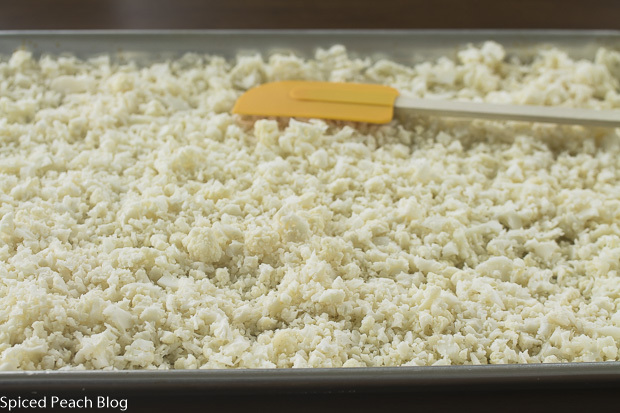 I decided it might be fun to name today’s recipe Roasted Cauliflower Crumbles. This is one title reference recommended as a name substitution by someone in the rice industry, the Crumbles part that is. The Rice industry is not particularly happy with the emergence of so named ‘riced’ cauliflower deeming it as edging its way into their product territory. It hadn’t really occurred to me that there would be any confusion as to cauliflower being rice or vice versa. However, it is appropriate to provide an effort toward understanding the industry wide concern since rice is both an important commodity and staple around the world. 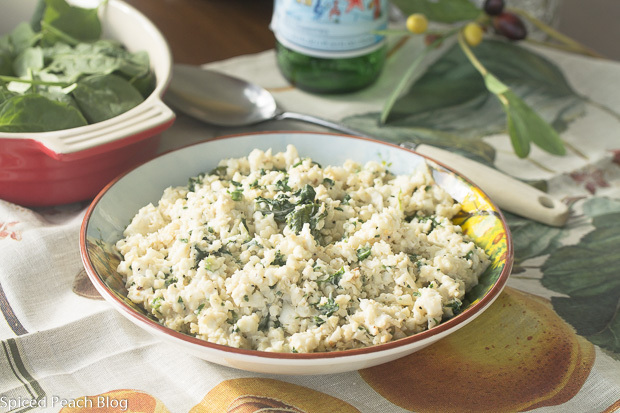 The brilliant and delicious idea of ‘riced cauliflower’ was created by a chef somewhere, I think in Australia. He had no clue that his creation would emerge as a long-term rage in countless food circles and publications from restorative health and clean eating to whats trending around the world. The concept is an excellent one, delicious, healthy, low calorie, and certainly interesting enough in taste and possibilities. Whichever way you name it, Crumbles or Riced the concept has its place. Given the difficult circumstance of the rice industry, still, I for one, and maybe you too would never confuse ‘riced cauliflower’ with rice or expect it to transcend the place of what we know as actual rice and its pivitol place in many diverse international and cultural cuisines. But. Knowing the challenge provides a perspective of understanding. This entry was posted in Veggies and tagged "Cauliflower Crumbles", "Cauliflower Crumbles" Kale Parmesan, "Cauliflower Crumbles" with Kale and Parmesan, Cauliflower, Riced Cauliflower. Bookmark the permalink. Post a comment or leave a trackback: Trackback URL. Perfect summer meal, nice and healthy. Thanks for sharing, Peggy! Jolma Ren recently posted…How Tibetans Celebrate Losar–New Year? Hi Jolma! Thanks so much. I really enjoy these little-roasted crumbles, and yes nice and healthy too! Hope you are doing well! Personally, I will never confused riced cauliflower for rice, but it is a nice substitute in a lower-carb diet and as with tofu, it seems to pick up other flavors well. Thanks for the recipe, Peggy. Hi Kelly. Yes, right. 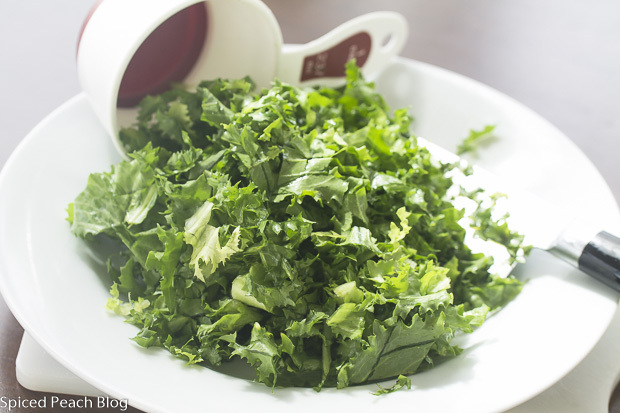 It is a lovely substitute for those on a lower carb diet- or even those aiming at appreciating healthy light flavors. 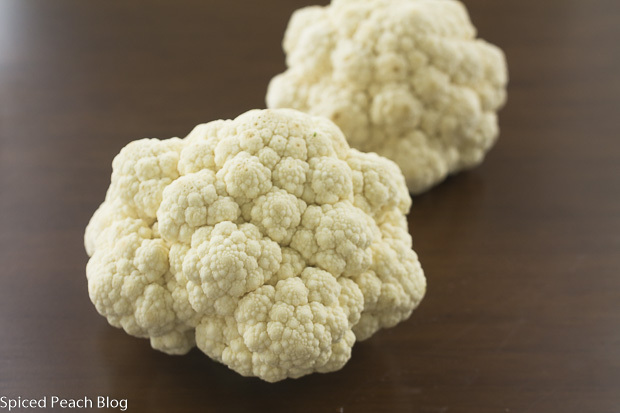 Cauliflower really does pick up flavors well although the crumbles have a more delicate texture so I’ve observed you need to be delicate on the ingredient combinations.